There is a lot of misinformation out there when it comes to health, nutrition and fitness. One thing that is always a hot topic for discussion is the use of supplements. Which supplements are the best, what do they do and which ones can help you to lose weight? One topic which has been buzzing lately in the health community is the use of fish oil supplements for weight loss. 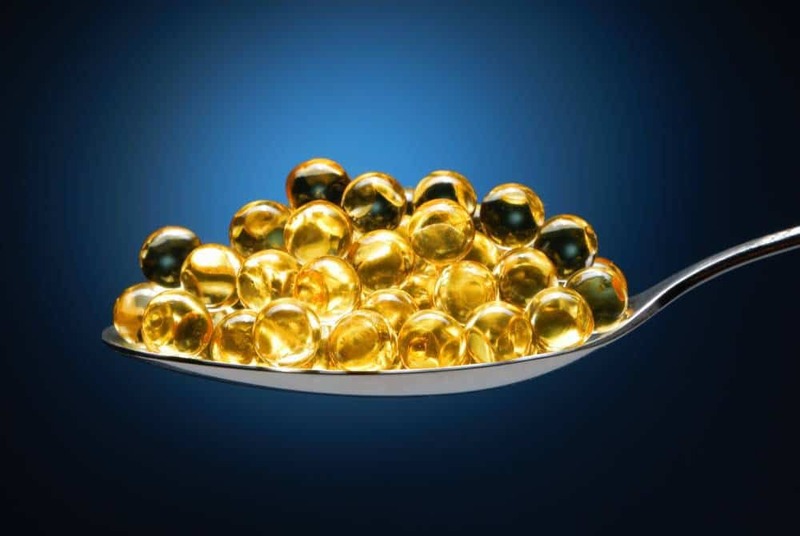 Fish oils and their components – omega-3 fatty acids – certainly have an almost endless amount of proven health benefits. However evidence around fat burning and dieting is a little less clear. 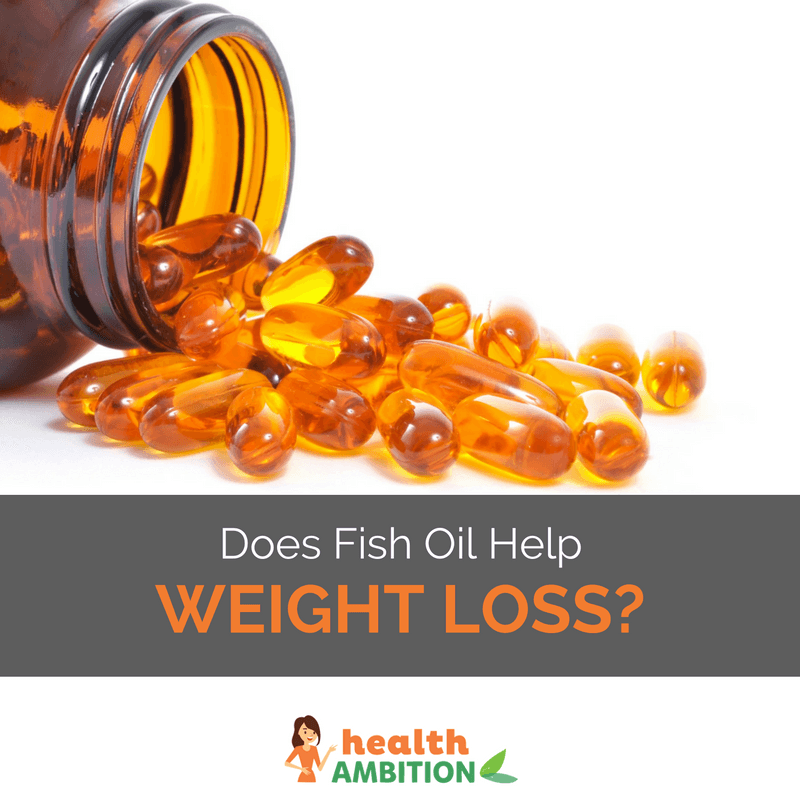 If you want to know if using a fish oil supplement helps weight loss, then keep reading as I’m going to cover this topic in depth. Before we can determine what fish oil supplements can do for you, it’s important to understand what they are. 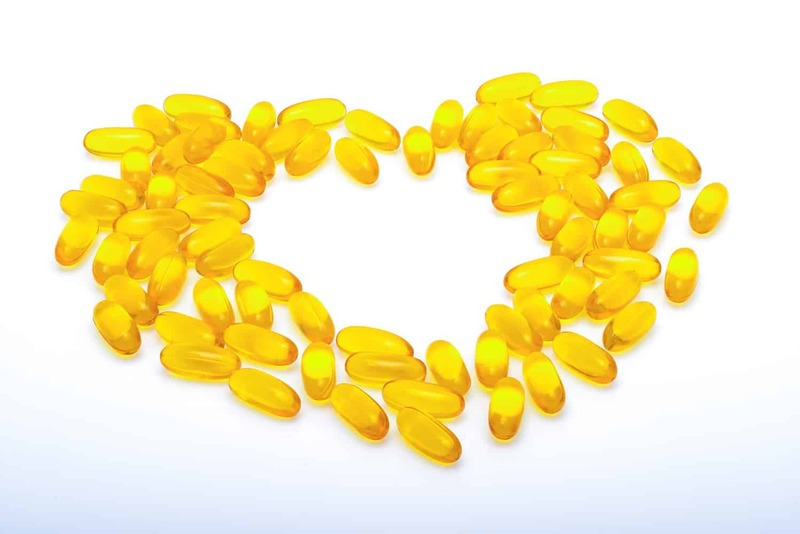 Fish oil has become increasingly popular lately, but why? Essential Fatty Acids (EFAs) are long chain, polyunsaturated fatty acids. They are classed as essential fatty acids because your body cannot make its own, you can only get them through your diet. Polyunsaturated fatty acids come from alpha-linolenic acid and linoleic acid, more commonly known as omega-3 and omega-6. Essential fatty acids are responsible for a number of processes in the body. This is why it’s important to consume enough in our daily diets. Despite their importance however, it is thought that most Americans’ diets are severely deficient in omega-3 fatty acids. (source) But what is in omega-3s that make them so special? When you eat foods containing polyunsaturated fats, the omega-3 fatty acids are broken down into docosahexaenoic acid and eicosapentaenoic acid, also known as DHA and EPA. Research has shown just how imperative EPA and DHA are for the development of vision and brain function, especially in young children. However, research is still ongoing as to the effects of deficiency in EPA and DHA. A large proportion of the role of these nutrients in our bodies is still unknown. According to Fish Oil: The Natural Anti-Inflammatory, this is because omega-3s can reduce the inflammatory process that often in turn leads to these chronic diseases. Do Essential Fatty Acids Aid Weight Loss? A lot of people think that eating fat makes you fat, which is a misconception. Most people aren’t aware of the difference between healthy fats, like essential fatty acids and unhealthy fats, such as saturated fats. Unsaturated, healthy fats are not only beneficial to you for all of the reasons we have already established, but also when it comes to losing weight. Research has shown that eating the right kind of fat can actually aid fat loss. Especially if you are in a caloric deficit (burning more calories than you are consuming). One study from the Annual Meeting of the American Society for Clinical Nutrition, showed that women on a very low calorie diet (VLCD) managed to burn more fat by consuming omega-3 fatty acids while fasting. This is because the EFAs are broken down and used as a source of energy. Fish oils are able to regulate serotonin, which is responsible for your appetite and mood. One study has shown that a diet rich in omega-3 not only leaves you feeling fuller for longer, but encourages you to eat less overall. (source) This in itself, without calorie restrictive dieting, will encourage you to lose weight. Insulin has a huge part to play when it comes to weight loss and how your body stores fat. If your cells are sensitive to insulin, they are less likely to store food as fat. Now we have established not only how important omega-3 fatty acids are, but how they can aid weight loss, I am sure you are wondering how you can get more into your diet! Well, the most obvious method is through the food you eat. There are a number of food sources for dietary consumption of essential fatty acids. Although eating oily fish is the best way for you to get some essential fatty acids into your diet, for a lot of people this is quite a task. Fish can be for many an acquired taste. There are different levels of “fishiness”, so trying to eat something milder like salmon for instance, is a good way to start. You might even find yourself building up to other varieties over time. Plus, don’t think about eating fish as just throwing a full herring down on your plate! There are many recipes where you can experiment and even include fish in a way that can mask the fishy taste. This can also be a great way to get some omega-3s into your kids’ diets, as we all know how fussy kids can be. One of my favorite all time recipes is healthy salmon patties with papaya salad. The reason these are a great option is because, not only do they have an amazing tropical flavor, but you can make them in large batches and keep some in the refrigerator for later in the week. That makes it easier to hit those two servings of omega-3 rich fish weekly. Here’s a video showing how to use fish oil for fat loss! Even eating a daily diet rich in fish, many people fail to get satisfactory levels of omega-3s into their diet. This is where fish oil supplements could be helpful. 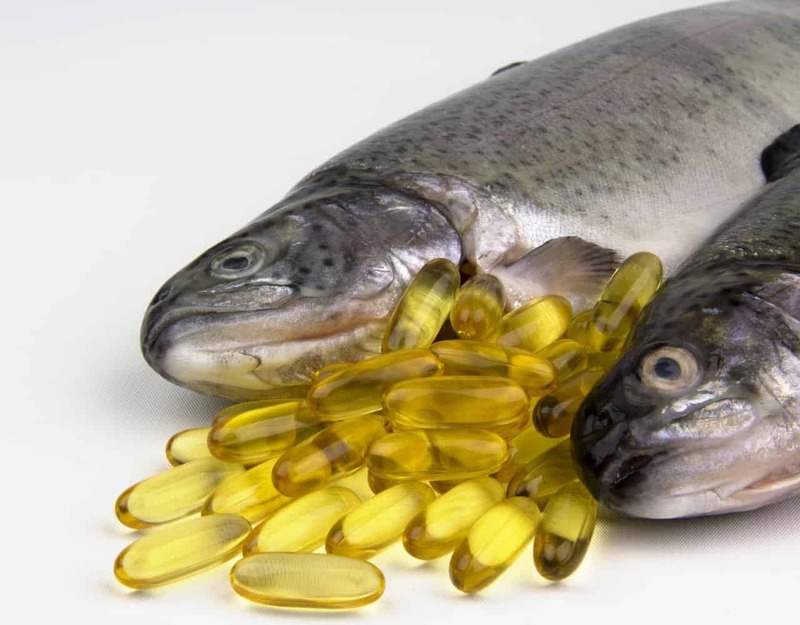 When thinking about fish oil supplements, you will notice there are an abundance to choose from. Fish oil, krill oil, omega-3 – it can all become a little bit confusing. When looking at fish oil supplements you must read the label. See exactly what is inside in terms of what DHA and EPA per serving for each product. As there are fish oil supplements aimed at people for different things, when looking for a supplement to help you lose weight, you need to look specifically at the best fish oil for weight loss. I know that many people just simply can’t stand fish. Trying to get 2 portions of fish weekly is a huge ask. Moreover, asking you to take a huge, fishy supplement (as let’s face it, most are huge and fishy!) is not most people’s idea of fun. However, the fact it, we all need to try and learn to love fish oil. It is obvious to see that not only will it help you if you are trying to lose weight. But it has so many major benefits, both physically and mentally, for everyone. So yes, getting a diet rich with fish oil could help you with weight loss. But it could also benefit your overall health and wellbeing and improve your quality of life. So whether you enjoy a succulent salmon a couple of evenings a week, or take a daily pill, there are plenty of good reasons to embrace fish oil. Cla vs Fish Oil: What’s the Difference & Which Is the Best? Fish Oil vs Cod Liver Oil vs Krill Oil: Which Is Better for Your Health? What Is The Best Fish Oil For Kids? What is The Best Time To Take Fish Oil?